Today, the world celebrates Valentine’s Day. Today, Christians mark Ash Wednesday. It is the first time since the Second World War that Ash Wednesday and Valentine’s Day are marked on the same day. For many this has raised a peculiar question: Is it fasting or champagne? Is it ashes or chocolate? Is it celebration or abstinence? As Christians we look to Jesus in whom love found its perfect expression. Ash Wednesday sets us on that journey when we reflect on how Jesus lived out the love he experienced from his Father and in turn shared with all humanity to the point of dying on the cross. It is the ultimate expression of love – to give one’s life for another. It is love that we strive for. A love that is generous and totally self- giving. 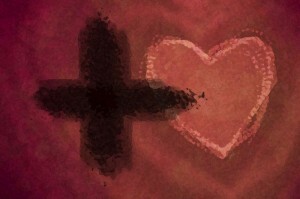 Valentine’s Day gives us the opportunity to thank the people in our lives who give us a glimpse into the love of God. It is a time to be grateful for all the people who open us to receive and give love. It is an occasion when we affirm the love that we share with the significant people in our lives. And no better day to do it than on the day when we are reminded that we were created in the image and likeness of God! It is a day when we rejoice in the fact that we are made of stardust. It is a day when we acknowledge the faltering ways of human love. It is a day when we commit ourselves to journeying towards the perfection of the love shared by Jesus and lavished by God.